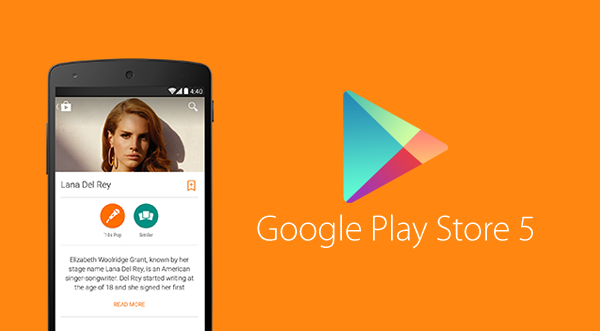 Google Play Store APK version 5.2.13 is now available to download. The all new Google Play Store 5 carries more elements of Material Design as has been seen earlier in the Android L Developer Preview releases. Google Play Newsstand was also updated with a complete Material Design overhaul, and a day later, Google+ was updated with additional Material Design elements. Download Google Play Store APK version 5.2.13 from here.